ARTinfoINDIA.COM’s Painting Competition for school children titled TITLEE-The Butterfly 2012, TITLEE-The Butterfly 2013, PEACOCK-The National Bird 2014, Lotus-The National Flower 2015, Tiger-The National Animal 2016 and Colours of National Symbols 2017…. was successfully organized. Exhibitions of award winning paintings were held at India Habitat Centre, New Delhi. 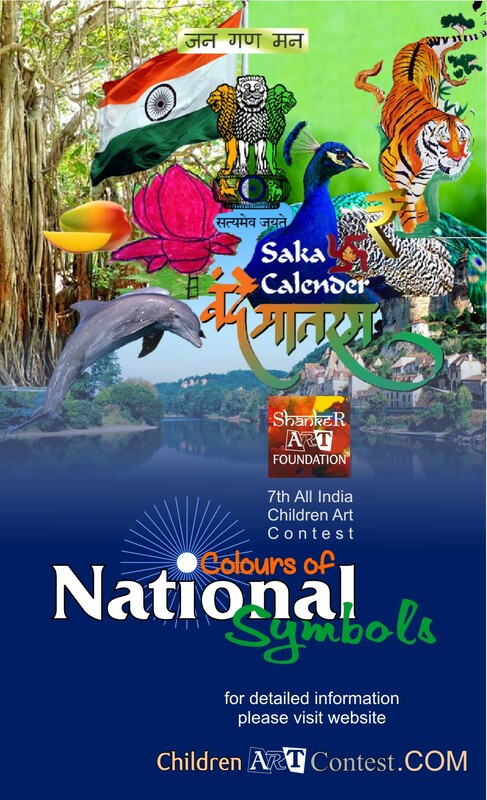 In continuation to this ARTinfoINDIA.COM & SHANKER ART FOUNDATION are glad to announce Colours of National Symbols as theme for 7th All India Children Art Contest. This is to depict our love and concern for National Symbols through paintings and drawings. This is a one of its kind opportunity to discover the latent talent of budding and upcoming generation through their sincere and creative thoughts about Natinal Symbols and Nation. Our sole aim is to Sensitize / Motivate / Educate young and budding children through art towards the importance of our Nation and National Symbols. d) Award & Merit Certificate for 500 paintings. e) Certificate of Participation for all students.